Fortitude Outdoor Fitness is hosting a 5k/10k trail run to benefit the Brad Van Pelt Scholarship Fund on Saturday, April 28. Brad was an Owosso High School graduate and professional football player with the New York Giants, Cleveland Browns, and Los Angeles Raiders. His scholarship fund has been administered here at the Shiawassee Community Foundation since 1986. In recent years, the typical amount awarded in scholarships has been at least $2,000 per year. Some big names are getting involved in this inaugural race: MSU’s Sparty will make an appearance at the event, and the New York Giants made a generous donation to the scholarship fund. Don’t miss out–walkers and spectators welcome! Can’t make it to the race? 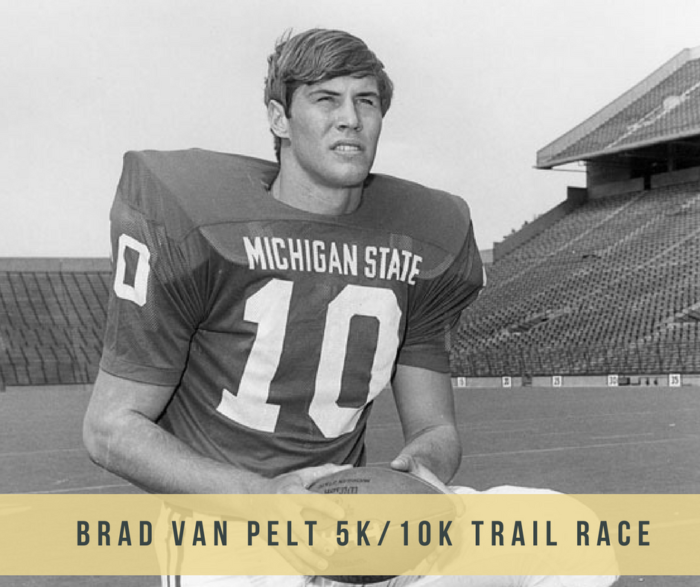 You can donate directly to the Brad Van Pelt Scholarship Fund on our website by clicking the button below or by mailing a check to PO Box 753, Owosso, MI 48867.